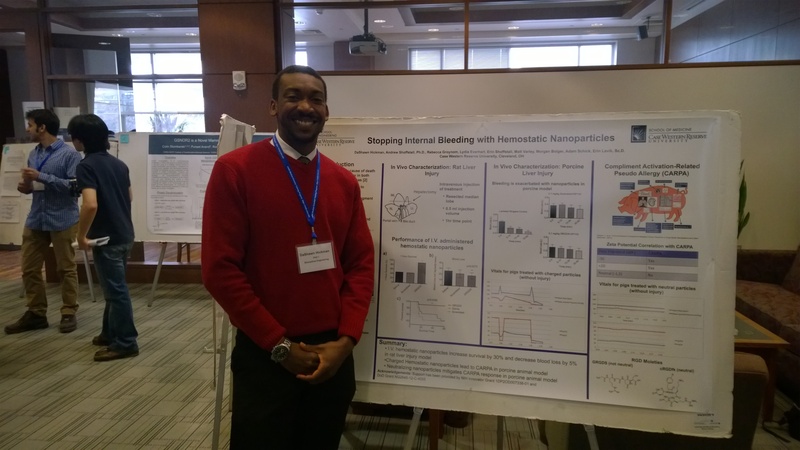 DaShawn presented his fantastic poster on testing intravenous hemostatic nano particles in a large animal model at the MSTP retreat. He did a brilliant job! Previous Post Dr. Lavik to be inducted as a Fellow of AIMBE! Next Post DaShawn Wins Poster Award at MSTP Winter Retreat!